There are many reasons why you might need to consider window replacement for your home. Because it could be an expensive exercise, there are some valuable tips that could save you money and headaches along the way. So if weathering and aging have affected the appearance of your windows replacement may well be worth considering. Why would you even consider window replacement in your home? 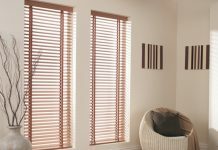 You may want to install double glazing to help to protect your home from the extremes of heat or cold in your local climate. Your house might be old, and the windows have become draughty or damaged beyond repair. The windows in your house may be a style that do not suit the house, or that you do not like. Your house windows may not be simple to open and close and you want ones that are easier for your family to use. You may want to increase the value of your home by replacing the windows with more modern ones, or to improve the street appeal of the house. What is involved in windows replacement? When replacing windows in a house, the usual procedure is to mount the new complete window into the existing window frame. The new window relies on the strength and integrity of the original frame for support. Modern windows come as a complete unit, and this process is fairly simple to do successfully. 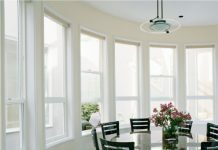 Replacement windows can be installed from the inside, by removing the trim from around the existing windows, or from the outside by removing the construction stops. This could be the preferable option if the inside trim is attractive or made of a valuable timber. The whole surround of the new window is then sealed completely using a caulking compound. It is also possible to fit screens with windows replacement, and the screens can be retractable, full size or half size. 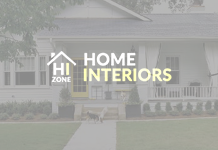 If your home is of historical significance, you may be subject to regulations about renovations, so make enquiries as to what you are allowed to do. You may be limited as to your options or you may be restricted in the type of window replacement available to you. Replacement windows come in different materials to suit your needs and the requirements of the window replacement job. The window surrounds can be made of wood, aluminum, vinyl, fiberglass or composites of wood and vinyl, or wood and aluminum. Some of these come in permanent color finishes that mean they will never need to be painted. Quite a time and money saver! Window replacement can be a cheaper option than pulling out the complete window, frame and all, and replacing it. You can choose the type and style of window you use as replacements; maybe to improve the air flow into the house or the over-all look of the property. It is best to replace all the windows at the same time to ensure you get them all matching, and make sure you use an experienced, licenced tradesman to do the work.